This project is in the heart of the town of Cambridge nestled on the top of the hill overlooking the native bushland fringed golf course. 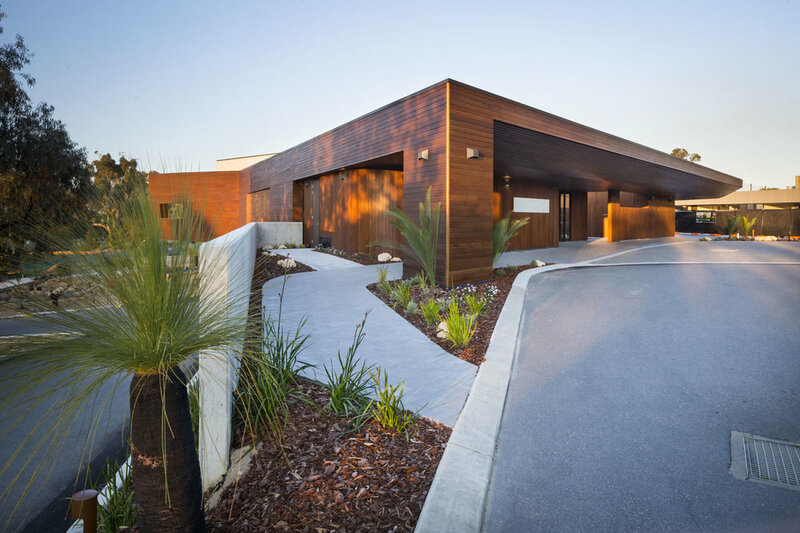 The existing facility was in need of an extension and facelift with this in mind, Gresley Abas Architects were engaged after proposing a simple, elegant timber clad architectural form that did not compete with existing structures. 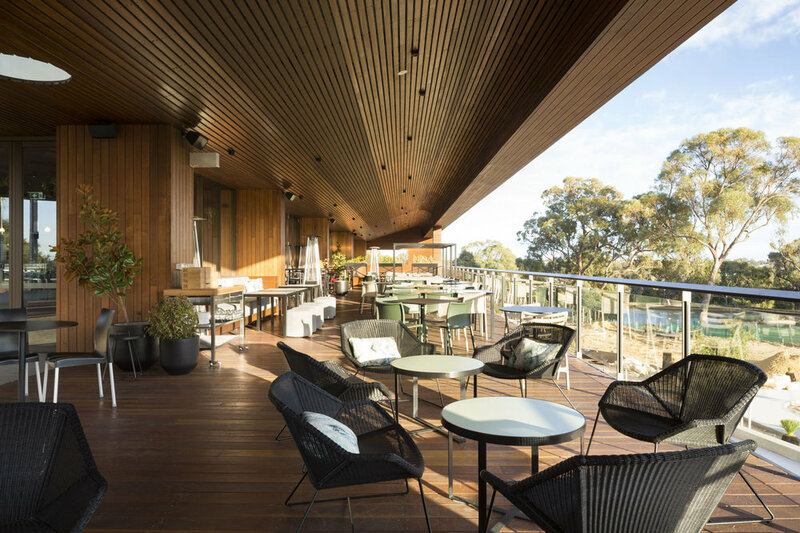 Sleek lines of Walnut coated GOODWOOD Victorian Ash timber welcomes patrons as they enter the space. 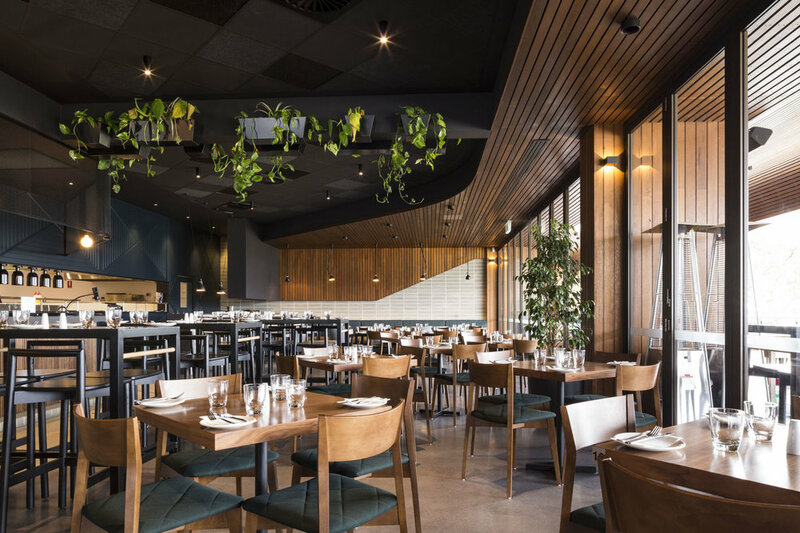 Continuing the flow of hardwood, the restaurant is dressed with panels from the roof down to the walls, perfectly harmonising with the teal accents throughout the space. IronAsh GOODWOOD was a perfect choice offering uniformity, durability and supply reliability to meet the desired timeframes.